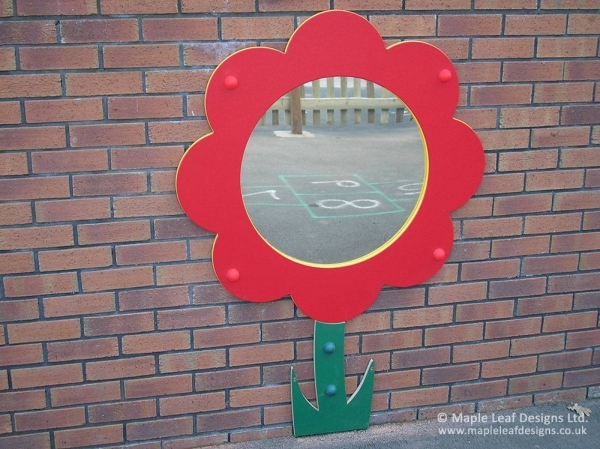 Our Flat Flower Mirror with Stem makes a cheery addition to any playground, and comes in a variety of colours to suit your space. The mirror element is a cost-effective way to bring sensory play into your playground. We can mount them to walls and fences, or install them on timber posts as free-standing panels.